You may often hear people say buying a home will help you pay less taxes. First we must look at your comfort levels for a monthly payment. How much of a mortgage payment can you comfortably handle? A simple way to determine how much of a mortgage payment you can afford is to draft a simple monthly budget. 1. List your monthly income from all sources. That total is your "gross" monthly income. 2. Subtract from your gross income any taxes you pay or owe monthly - Federal taxes, state taxes, FICA (social security taxes), and Medicare taxes. Don't forget to include the monthly amount of any estimated taxes you have to pay. What is left is your "net" income. 3. Next list your other monthly expenses, such as savings, utilities, groceries, insurance, car payments, tuition, clothing, entertainment, etc. (If some are payable yearly or quarterly, divide the amounts by 12 or 4 and add that to the monthly expenses.) Do not include current rent or housing payments, since those would no longer be applicable. 4. Subtract the total of your monthly expenses from your net income. The resulting amount is what is left for a house payment. Below you will find a sample budget. You can use it as a guide, but be sure to add any expenses that you have that don't show up on our budget. How can you afford a Larger Mortgage Payment? Cindy and Roger (not their real names; the names and some of the details have been changed to protect privacy) came to me after talking to the loan officer that Roger's brother recommended. They had found a house they wanted to buy, but the loan officer told them that they didn't bring the right information with them - and, at any rate, it looked as if they were going to be a couple of hundred dollars short each month unless they had another $15,000 in down payment money. Discouraged, they decided to ask one more person, and ended up calling my office. I told them what information to bring in, and after meeting with them, I was able to help them get a conventional, fixed-rate mortgage that they could afford - and without a bigger down payment! The monthly payment depends primarily on the amount of the loan, the interest rate, and the term of the loan (and sometimes taxes and insurance). A 6% 30-year fixed-rate mortgage for $142,500 would cost the buyer approximately $931, including taxes and insurance. What can you do, then, if you really want that $150,000 house, have only $7,500 for a down-payment, and are already getting the most favorable rate and term - but you have only $735 a month available to pay a mortgage. How can you make a mortgage payment of $931? An answer for many people is, believe it or not, "withheld income taxes"! Have you ever seen people in April, May or June walking around with silly smiles on their faces? These people probably just got a refund check from the Internal Revenue Service (IRS). Why are these people smiling? If they thought about what those refund checks mean, they'd probably be frowning. Contrary to popular thought, a tax refund is not forced savings. Would you walk into your bank and open a savings account paying 0% interest? When you get a refund from the IRS, you are receiving your own money back with 0% interest! What you have actually done is given the US government an interest free loan! On top of that, if there is economic inflation, then the money refunded to you is actually worth even less than it was when you earned it. To make matters worse, when you itemize, the amount you receive as a refund from your state (if your state has income tax) must be declared on your federal return. If your refund is large enough, it might also force you into a higher tax bracket. The final problem is that you don't have the use of your money until you receive your refund. Change your W-4 form and receive your money (your "refund") every month instead of giving it to the IRS to use at your expense for the year. This is a particularly good idea if you will be taking out a mortgage to buy a home. Because property taxes and the interest on most home mortgages are tax-deductible, you'll owe less taxes than you would if you were renting. You can change your W-4 form to reflect the lesser amount of taxes due. (Your tax preparation professional can help you figure how much to withhold.) Then, each month, instead of giving the IRS your money to "hold" for you (without interest), you can use that money to pay a larger mortgage payment. Remember: It is your money and you are going to get it back regardless. The question is, do you want to get it back monthly to help you with your mortgage payment or at the end of the year. For example, suppose your tax refund for the year - taking into account mortgage interest and other deductions - would be $2,400. That's equivalent to $200 a month ($2,400 divided by 12 months). Instead of giving that money to the IRS and then getting it back at the end of the year, you can change your W-4 so that you get to keep that $200 a month and use it to help make a larger mortgage payment. In our previous example, that $931 mortgage payment becomes affordable when your extra $200 is added to your budgeted $735! "You should try to have your withholding match your actual tax liability. If too little tax is withheld, you will owe tax at the end of the year and may have to pay interest and a penalty. If too much tax is withheld, you will lose the use of that money until you get your refund. You may want to check your withholding when there are changes in your life or financial situation that affect your tax liability." "Purchase of a new home" is listed as one of the lifestyle changes that are likely to affect your tax liability. You many have heard the term pre-approved or pre-qualified. In the real-estate industry we do things a little backwards. Here is a very common scenario. You the buyer decided you want to move. You call a realtor and start looking for a home. Finally, you find the home of your dreams and your offer is accepted by the seller. Of course you will want to do a home inspection to make sure there is nothing wrong with your new home. The cost of a home inspection is generally $200-$300 and is paid at the time the inspection is done. Next, you will need to go to a lender and get a mortgage. At the mortgage application you will need to pay approximately $469 for an appraisal and credit report. After 3 or 4 weeks you will learn if your loan has been approved. If your loan was rejected you have now LOST almost $1,000.00 because the fees you paid are not refundable if your loan is rejected. You can get pre-approved BEFORE you even go looking for a home. By being pre-approved you will know that your loan is already waiting for you and all you have to do is find your perfect home. You will also know how much you need to buy the home and what your monthly payment will be. Your next step is to call: 732-845-1991 to schedule a NO-OBLIGATION CONSULTATION and get the process started. During this meeting we will discuss the mortgage programs that will best meet your needs. We will also try to make this program fit your needs and comfort level for a monthly payment and the amount you want to use to purchase your new home. Also during this meeting we will run a full credit report. This is an extremely important part of the process. You may have heard horror stories about people who bought a home, applied for a mortgage and were told by their lender everything looked good. Three weeks later, their loan was denied because some bad credit showed up, that WAS NOT on the credit report during the first meeting. There are 3 major credit reporting agencies in the United States: Equifax, TRW & CBI. When a lender runs a preliminary credit report for you they will run 1 of the 3 agencies listed above. The problem is that not every creditor will report to the same credit agency. For example, your VISA card may report to CBI; your store charge card may report to Equifax; and your Credit Union may report to TRW. During our meeting, we will want to run a FULL 3 agency credit report. This will allow you to know exactly what will be on your credit record. This is the same report that could be used when you purchase your home, so you many not need to pay for it again. Did you know that you could be approved for a mortgage, and not just be prequalified for a loan? Most banks and mortgage companies do not offer you this option. They have you pay the entire application fee up front. With the pre-approval, your credit and income are checked out ahead of time and your financial information is sent to the underwriter who will be approving your mortgage. What I am talking about here is a real, honest to goodness mortgage approval. Not one of those "approval cards" that when you read the fine print, you find out that you are not really approved. Without pre-approval, you can buy your home, and not worry about financing. 2. Beware of banks and mortgage companies that do not offer you their "best deal" first. The conversation would go something like this...You: What are you rates and points? Bank: They are "such and such." You: Great, thanks. I am checking around with some other banks and mortgage companies. Bank: Well, after you check around, give me a call back because maybe we can meet or beat the deal they give you. This kind of makes you wonder that if you didn't mention you were shopping around, that you may have ended up paying a higher rate, or more closing costs. Wouldn't it make you suspicious as to why that bank did not give you their best deal first? Most real estate agents represent the seller, they do not represent you as a home buyer. There is a fairly new type of real estate agent called a "Buyer's Agent." They work for you, not the seller. You do not pay their commission. The buyer broker can disclose things to you about the seller (or the home) that they would not be able to if they represented the seller. If a real estate agent will not offer you a buyer brokerage agreement, ask "Why Not"... or better yet, find another agent! Lenders are much more flexible with the real estate agents who have done business with them previously. This relationship then establishes them as a team. The lender and agent work effectively together, referring each other business. That's why a good agent can make substantial difference in setting up the most economical financing. And the right financing can, literally, save you tens of thousands of dollars over the life of your loan! All the paperwork required to complete the purchase of a home can be quite intimidating and frustrating for a home buyer. Make sure you have your lenders help you with all the paperwork. Get help from your team, your lender and agent. Their expertise will help alleviate the stress and it will prove to be invaluable before you sign your mortgage. The odds of you hitting the bottom of your market are about the odds of you hitting your state lotto! You will almost never hit the bottom of a market. And trying to time it exactly right is often costly. It usually causes a person or family to miss out on the opportunity to purchase a very nice property. You're better off simply negotiating the best rate and terms you can at the time you find a property. If interest rates go down, you can refinance. This is a much better approach because you won't miss out on the property you've spent so much time locating. Your lender wants to help you with your loan. The only time they get paid is when you get approved. The more information (good or bad) you provide your lender, the easier it will be for them to get an approval. It helps them present the loan in the best light. This in turn helps the loan get the highest approval rating. Pick your lender's brain. Lenders will teach you all about your various options, even if you haven't found the right property yet. They will be very patient with you while you are looking, especially if you have aligned yourself with the right agent. They understand all the up-front work will pay off in future business. Your agent will then continue to refer people to the courteous and service-minded lender down the line. I hope you have enjoyed this special report. Please contact us at 732-845-1991 to set up your No-Obligation consultation where we will meet to tailor a program to fit your needs and comfort levels for monthly payment and investment. P.S. 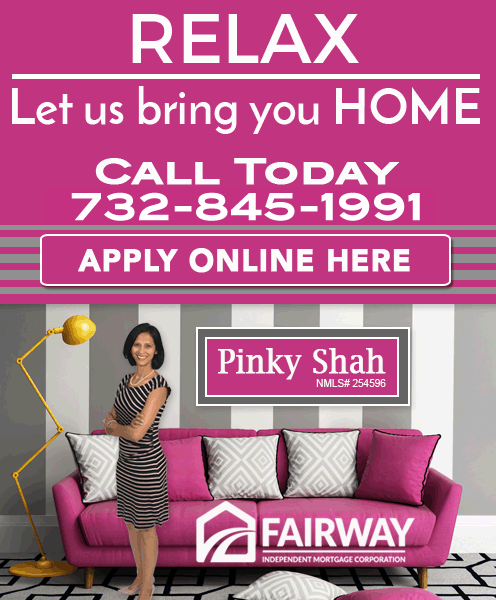 If you would like to get started now please click the following link or image below to fill out a No-Obligation Secure Online Application and we will contact you to schedule a consultation to help you get the home of your dreams with the best terms available...regardless of your credit!